BATON ROUGE, La. 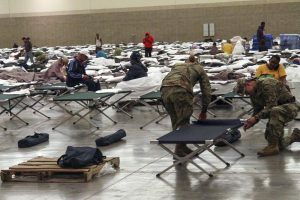 – The Louisiana National Guard began providing shelter support to the Baton Rouge River Center last night, as directed by Gov. John Bel Edwards, following search and rescue operations due to heavy flash flooding in 12 parishes since operations began, Aug. 14. “As conditions change we [LANG] are transitioning and moving toward a 50 percent response – saving lives, search and rescue operations – and a 50 percent recovery effort – shelter security, commodities distribution, logistics and parish support,” said Maj. Gen. Glenn H. Curtis, adjutant general of the LANG. 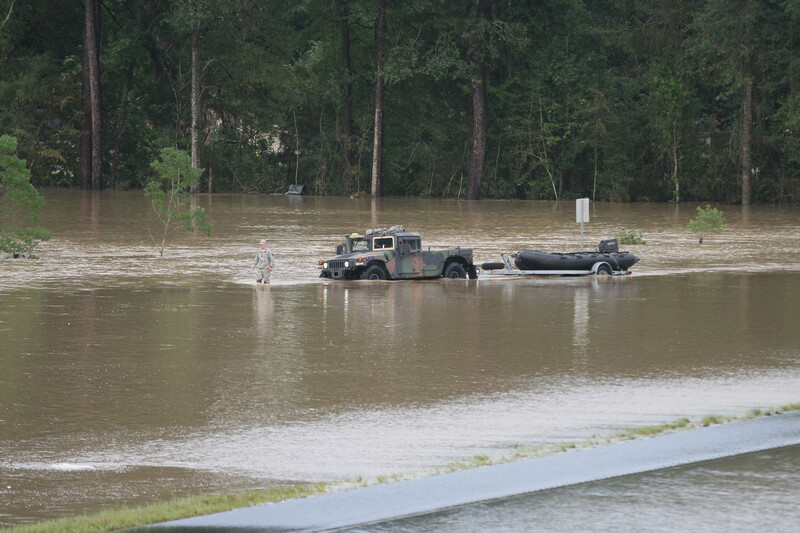 Currently, the LANG has over 3,300 Guardsmen assisting with emergency flood operations including evacuations, search and rescue operations, engineering missions, commodities distribution, and security and shelter support. As of this email, the Louisiana National Guard has rescued over 7,600 citizens and 1,200 pets. The LANG has issued more than 16,700 MREs; 213,690 bottles of water; 260 tarps; and 714,000 sandbags. The LANG also issued over 2,200 cots and 1,700 blankets for shelter support. 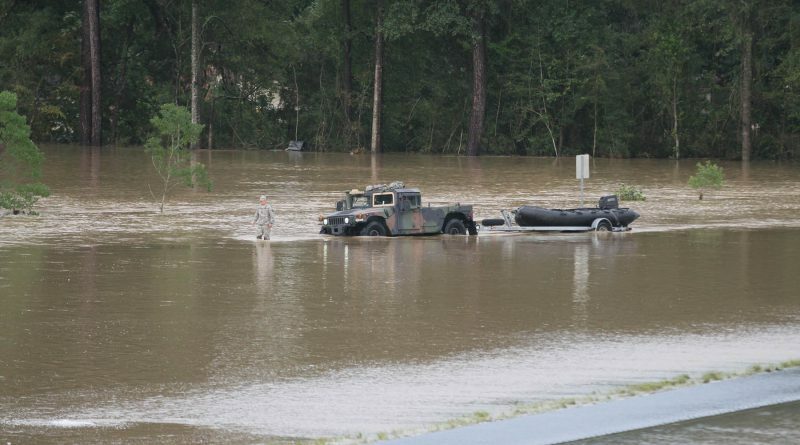 Over the course of these operations, Louisiana Guardsmen have supported local, state, and federal agencies with more than 236 high-water vehicles, 50 boats, 11 Bridge Erection Boats, and 9 helicopters.